If I Was Arrested For DUID In NJ, How Could Police Prove I Was High? How Can Police Prove I Was High On Pot When I Was Arrested For DUID In New Jersey? 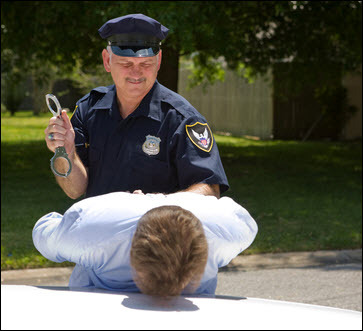 In cases where police suspect a driver was driving while under the influence of drugs (DUID) in New Jersey, prosecutors will have a significantly harder time proving the allegation than they would in a standard, alcohol-based DUI/DWI prosecution. First, police must show evidence that you were “under the influence” of marijuana. This may include observations of redness of eyes, pupil dilation, results of a field sobriety test, and other eyewitness statements from police. If you provide a urine or blood sample, that evidence may be entered as well. But the appearance of marijuana intoxication bears a great deal of similarity to other circumstances, like extreme fatigue, excessive computer use, and even red eyes caused by swimming in chlorinated pools. In addition, a positive marijuana test on a urine sample doesn’t even indicate you smoked pot that day – it’s a backward looking test that may indicate marijuana use any time in the last few weeks. If you’ve been charged with DUID in New Jersey, fight back. Call Matthew Reisig today at 732-625-9660 for a free consultation with an experienced New Jersey DUID lawyer who knows how to fight allegations of marijuana intoxication. Next post: I Provided A Urine Sample After Being Arrested For DUID In New Jersey. I Was Sober, But The Test Will Show I’ve Smoked Pot. What Happens? Previous post: Can I Be Charged With DUI In New Jersey For Having An Open Bottle Of Beer In My Car?